If you heard that there was a movie about a secret primordial Buddha, an infinite secret universe of enlightened space travelers, an immortal enlightened sorcerer born from a lotus flower, an enlightened Tibetan queen, a young princess resurrected from death, enlightened time-traveling treasure hunters, and a special message from the heart of the universe that granted the attainment of the indestructible rainbow body, you might mention that you hope it has a good director. Perhaps, you would make the wish that such a movie focuses deeply on character development and doesn’t get too carried away with computer graphics. Maybe you would suggest that talking robots be done exclusively in good taste with human actors involved. But what if this movie wasn’t a movie? What if this was bigger than Vader, Luke, Leia, and even perhaps Yoda? What if this story was more like the Never Ending Story, a story that might be part of your own destiny, if you keep reading? So the short answer is that the story is real. For all the imaginings of wild extraterrestrial communications from advanced civilizations that have the Fox Mulders of our world wanting to believe, there are things infinitely far more marvelous and remarkable than what we see outside of ourselves on television, hidden in our world long ago. The Khandro Nyingthig, the Heart Bindu of the Dakinis, is one for sure. 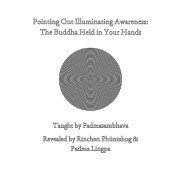 The Khandro Nyingthig is a set of instructions that guide one to enlightenment. It was first written down in Tibetan in the late thirteenth century by one named Padma Ledrel Tsal. According to the story behind these teachings, they originated from the mind of the primordial Buddha father and mother Samantabhadra, whose name means ‘good in every way’. 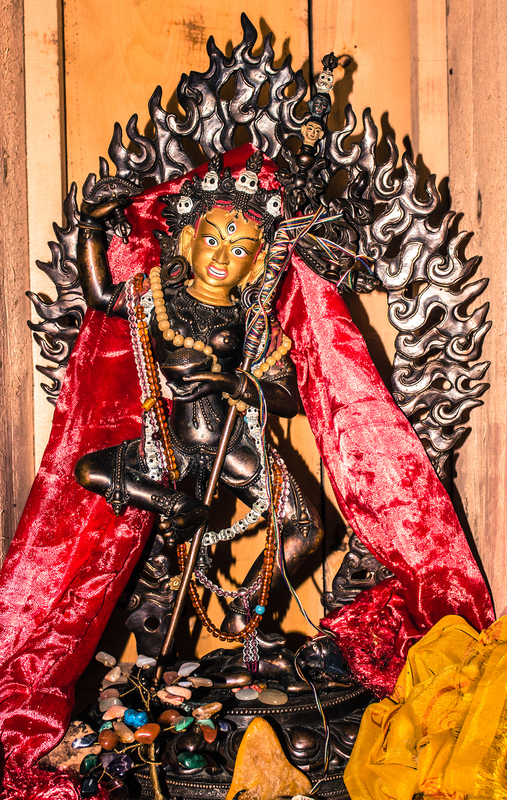 These were eventually transmitted to the Lotus-Born human Padmasambhava, who visited Tibet in the 8th century. He taught them to his enlightened Tibetan partner Yeshe Tsogyal and later to a princess he resurrected, Pema Sal. Since it was not time to spread these teachings they were hidden to be discovered centuries later. 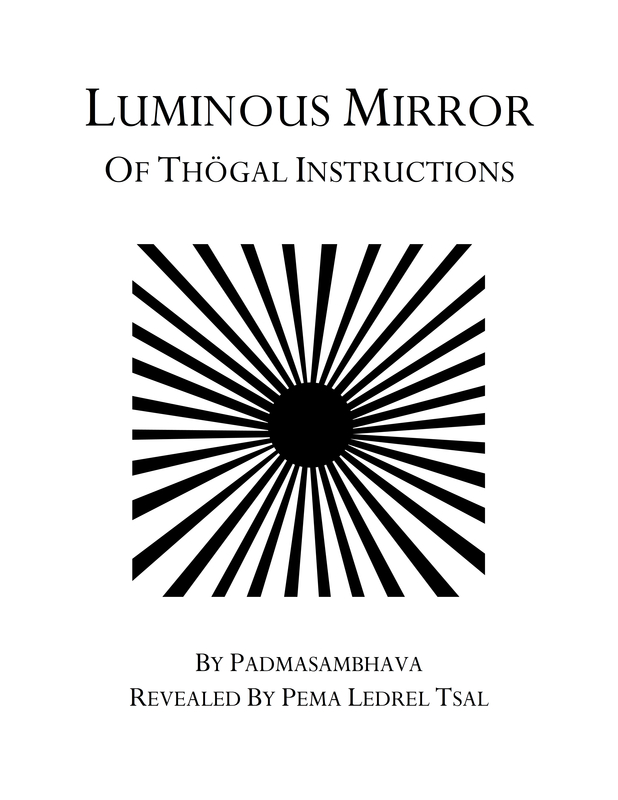 Padma Ledrel Tsal, recollected his previous life as the princess, the teachings and transmissions he received, and revealed this treasure of instructions. The transmission and practice of these teachings survive and are very alive to this day. The full realization of the practice of these instructions grants complete enlightened freedom over all reality, the indestructible immortal rainbow body, and the ability to work to help sentient beings throughout the universe with infinite capacities forevermore. These teachings are secret however. Normally, they would not be given to someone unless that person had trained for years developing renunciation towards the ordinary desires of human life, a faith in the Buddha, teachings, and community, a commitment to become an enlightened hero to save all beings in the universe, and a pure perception towards all reality and everyone in it. 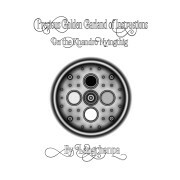 Additionally, these teachings are self-secret in that they require practitioners to see reality as a dream. When we fixate on the human reality all around us, what we see on the news is real. What we read in our facebook feeds is real. What we do in our daily hustle and bustle is real. Still, if we look carefully, very carefully, everything that we see outside of ourselves is secretly taking place on the inside of our minds. That is the true secret. These instructions are sent from deep within our own minds from our enlightened potential to ourselves to help us wake up from our limited outer dreams of life, death, hardships, and so forth to see the secret reality of how the entire universe abides within the nature of our own minds. These are the healing expression of the deepest levels of the compassion of all reality. The Khandro Nyingthig teachings are a secret message from the heart of the universe inside us all. 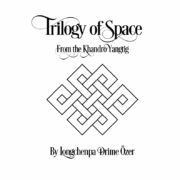 The Tibetan word Khandro literally means one who travels in space (you could also say sky-dancer or even skywalker…….). It translates the Sanskrit term dakini. Dakinis are powerful magical wild wrathful female beings. 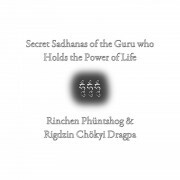 In this case, the term dakinis refer to enlightened primordial wisdom dakinis that soar throughout Khechara, the enlightened dimensions of the space of ultimate reality. 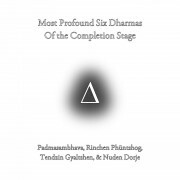 Padmasambhava’s partner Yeshe Tsogyal is one of these primordial wisdom dakinis. 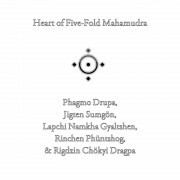 The word Nyingthig means heart essence or sphere. The Sanskrit word for essence or sphere is bindu. This word bindu is deep. It can refer to sexual energy, the stuff of life and death. It can refer to a circular shape. It also refers to the all-encompassing sphere of all reality. 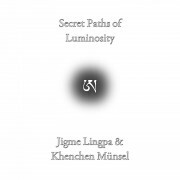 The materials of the Khandro Nyingthig come from what are known as the seventeen pith instruction dzogchen tantras and a special eighteenth pith instruction dzogchen tantra that was only taught in Tibet by Padmasambhava. 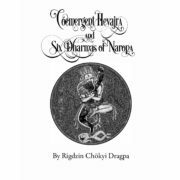 This amazing eighteenth tantra is called the Heart Blood of All the Dakinis: The Secret Tantra of the Blazing Sun of the Luminous Expanse. It was taught by the primordial Buddha mother Samantabhadri to a retinue of dakinis headed by Vajravarahi. 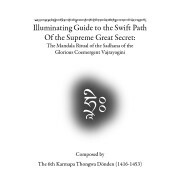 This, together with the other seventeen tantras, are the source texts of the Khandro Nyingthig. In the Khandro Nyingthig there are the Six Liberation by Wearing Tantras, the Three Legacies of the Buddhas, commentaries on those, and a wide variety of transmission techniques, supporting instructions, and liturgies. Longchenpa, a dzogchen master who lived in 14th century who was said to be the next incarnation of the princess Pema Sal, wrote a number of commentaries and supporting materials on this tradition that became known as the Khandro Yangtig, the Innermost Bindu of the Dakinis. 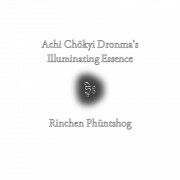 The greatest of these works by Longchenpa is his own vast mind treasure called the Cloud Oceans of the Profound Meaning of the Pith Instructions of the Heart Bindu of the Dakinis. In the following link is the very essence of all the instructions of the Khandro Nyingthig. It is called the Liberation by Wearing Essence Tantra. 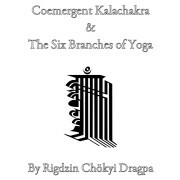 It is presented here with a word by word commentary also from the treasures of the Khandro Nyingthig. It is called Liberation by Wearing, because when you wear the meaning of it in your mind, you are liberated. Also, there is a practice of wearing the actual text at your heart or on your crown. It serves as a reminder of the Buddha hidden within us. To really understand this translation, you have to study and practice these materials with the personal guidance of someone who has proper training in this tradition. Also, this text and even the commentary are very pithy and require a lot of extra background understanding to be practically utilized. 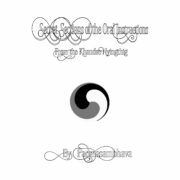 For an introduction and general background on the Khandro Nyingthig tradition you can check out the stories section of this site. 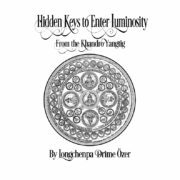 For some other Khandro Nyingthig instructions see the dzogchen section. Last, there is also a detailed commentary on the main practices described in this short tantra in the bookstore called Illuminating Primordial Wisdom: A Khandro Nyingthig Commentary. These texts are meant to be kept secret from those who are not suitable recipients. 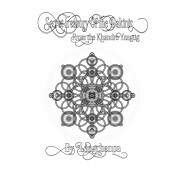 If you find these materials truly inspiring, if you’ve already received such teachings and transmissions but have no translations, and if you have faith in the secret realities of the primordial wisdom dakinis, these teachings may be destined for you. These teachings are close to my heart. Please use them wisely.